Published January 4, 2014 at 687 × 852 in The Gardensmith. Attractive edible gardens are just one of our specialties. 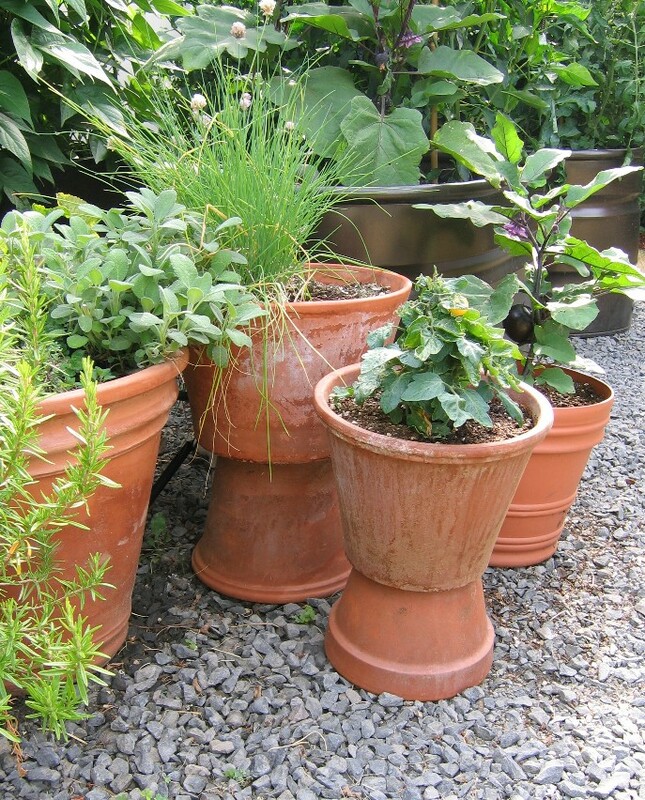 Terra Cotta pots planted with herbs and vegies in a back yard garden.